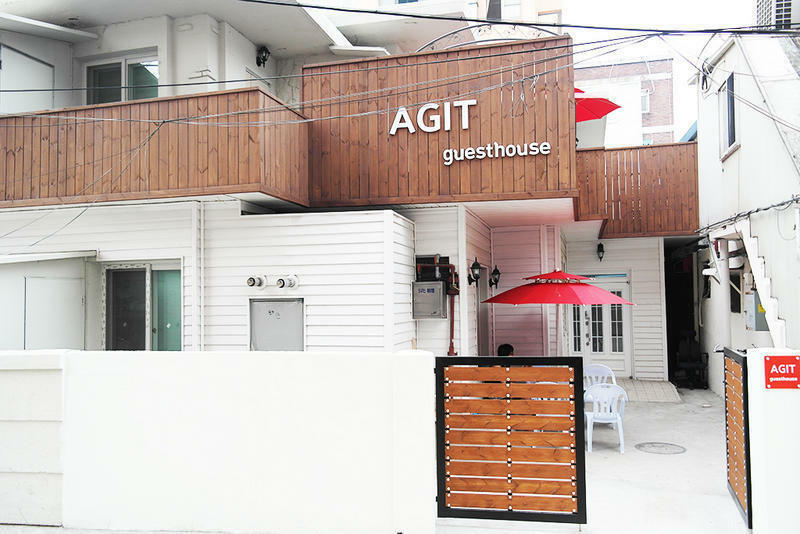 Agit Guesthouse is only 3 stops away from Gangnam area where you can enjoy a Gangnam Style! There is a small Korean traditional market nearby where guests can taste a real local life. There is a BBQ Party every Friday except for winter season. If you want a party in winter season, Korean traditional alcohol party with Korean pizza will be held every weekend. If you like a traditional Korean alcohol, just ask a staff and you can enjoy a free traditional Korean alcohol. 4. Catch yellow sign and you can arrive at our guesthouse. 3. See the other side of the street and you can find 'Ministop' and yellow sign. 4. Our Guesthouse is white house next to IBK bank's parking area and pharmacy.